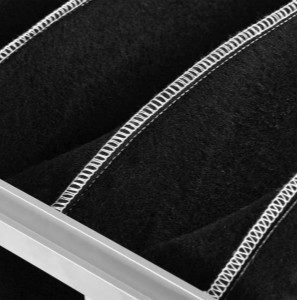 Our range of activated carbon air filters series includes bulk media,standard pleats, panels,pocket types – all of which are available in our factory. 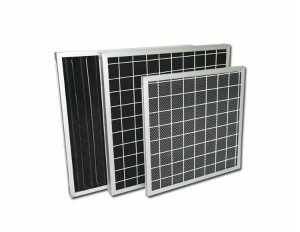 These filters are highly effective for removing VOCs and controlling odors and can be applied as an excellent pre-filter for use in commercial and industrial high efficiency systems. 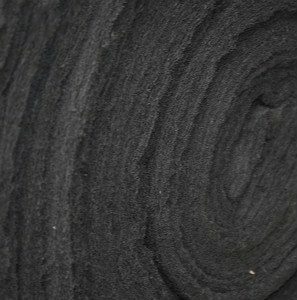 Activated carbon filter media，is a kind of air filter media,is made of polyester media impregnated with granular activated carbon material for odor removal, the minimum carbon content of activated carbon filter is 50%, the high carbon content can ensure the high filtration and purification efficiency. The granular activated carbon material we used are high quality coconut or coal activated carbon powder ,it has high filtering efficiency,the activated carbon filters has different thickness, can suit more applications and satisfy more customers. 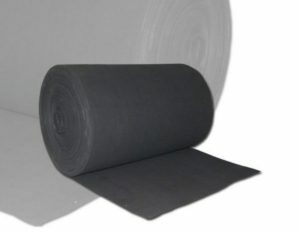 Our activated carbon filters is commonly supplied in rolls and packed in PE bags.There are different thickness and sizes for choice. 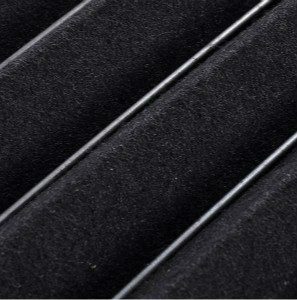 Activated carbon filters mesh are popular for HVAC appliation when odor control needed,there are two types: pleats type and panels type,pleats type increase filtering areas and for flat panel type,granular activated carbon can be added to increase the adsorption capacity. The frame of pleats type activated filters mesh can be galvanized frame, aluminum alloy frame and paperboard frame. 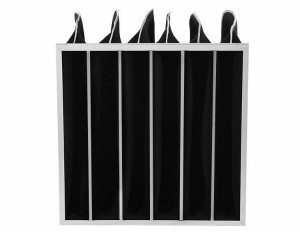 The galvanized and aluminum alloy frame can ensure the durability of the activated filters mesh inner activated carbon panel can be replaced, so these types are recycled. The paperboard frame activated carbon filters mesh are the most economical types, it cannot be used recycled. The frame of panel type activated filters mesh can be galvanized frame, aluminum alloy frame. Both types activated filters mesh can remove and eliminate the unpleasant odors, chemical gases and other harmful gases. Activated carbon pocket filters are suitable for office buildings, airports, hospitals and other air-conditioning ventilation systems to improve indoor air quality. No matter what you need, if you are looking for a reliable activated carbon filter supplier in China, we are your best choice. Special dimensions and requirements are available such as carbon panel filters with cardboard frame which help remove airborne, noxious fumes and gases are accepted.If you do not find the products you need，please do not hesitate to contact us.